Thousands gathered in Russian cities Oct. 7 to demand that opposition leader Alexei Navalny be permitted to stand in next year’s presidential election. The protests coincided with President Vladimir Putin’s sixty-fifth birthday, and attracted international attention. But they weren’t the only demonstrations of public anger to bubble to the surface in Russia this fall. On Oct. 2, activists picketed in Yuzhno-Sakhalinsk and in other towns of the Far Eastern Sakhalin region. 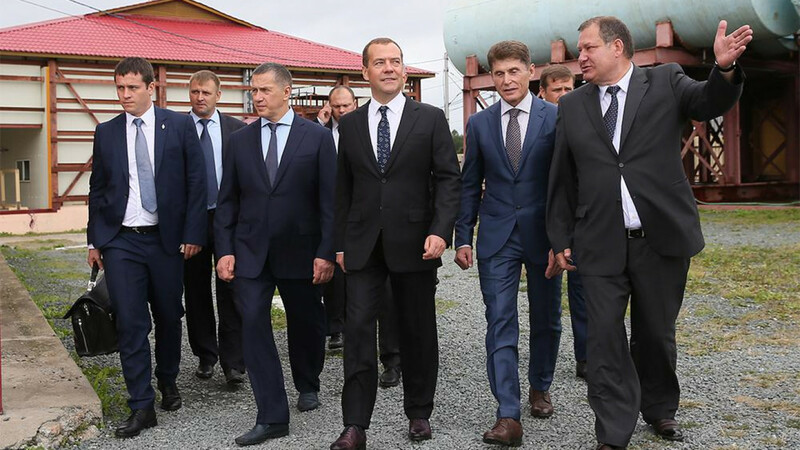 The protest was against the introduction of draft legislation that would see a major redistribution of oil and gas revenues from Sakhalin’s budget to the federal government. 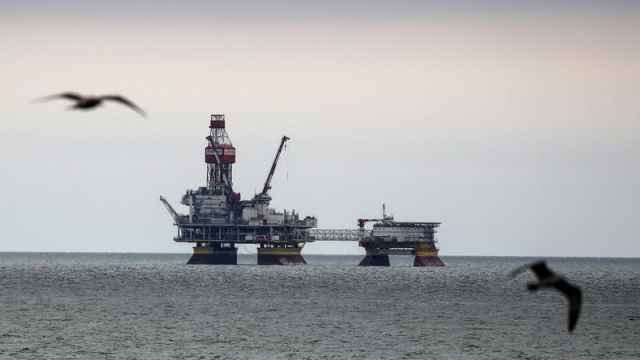 Under a production sharing agreement signed in 1994, royalties and tax revenues from the lucrative Sakhalin-2 oil and gas project are divided between the Sakhalin regional authorities and the central government, with 75 percent going to the former and 25 percent to the latter. The new law would invert that ratio, entitling the federal budget to three-quarters of the revenues. The official justification for this is to provide funds to support economic development across the Russian Far East. Unlike the island of Sakhalin, these regions are net recipients from the federal budget. 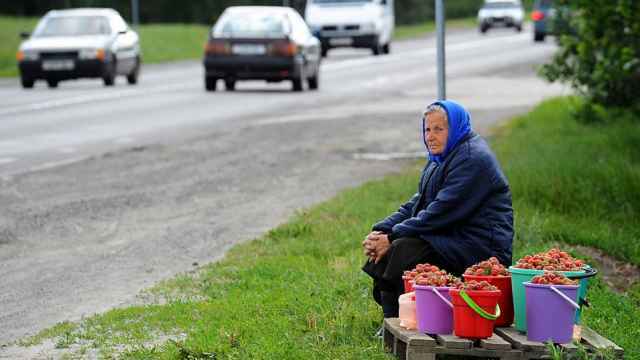 Although a more equal distribution of spending within the Far East may seem fair to some, many Sakhalin residents see the measure as an unwarranted intervention that will leave the region with a catastrophic budgetary shortfall — it is estimated that Sakhalin will lose 68.4 billion rubles ($1.2 billion) in just the first three years. This is expected to lead to new schools being canceled and the postponement of other development plans. It’s likely that some support programs for low-income households will also have to be suspended. Even if a significant proportion of the funds is returned to the region in the form of federal spending, it is probable that living standards on Sakhalin will fall. In response to the outburst of public frustration, parliamentarians of the Sakhalin regional assembly voted on Oct. 5 overwhelmingly in favor of issuing an official appeal to Vyacheslav Volodin, speaker of the State Duma. 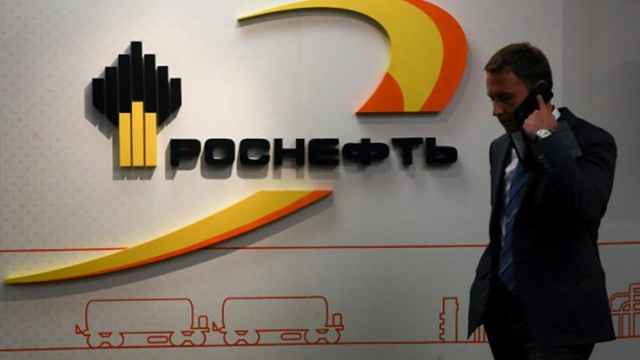 Urging reconsideration of the new law, Andrei Khapochkin, chair of the regional assembly, stressed Sakhalin’s need to retain the lion’s share of the oil and gas revenues. Khapochkin highlighted that 9 percent of Sakhalin’s residential buildings are classified as low-quality, dangerous housing, compared with a nationwide average of 3 percent. For such a resource-rich area, the rate of household gasification in Sakhalin is also only 13 percent, versus 67 percent nationally. In addition, 60 percent of power lines are in need of repair, and only 40 percent of roads in the Sakhalin region are paved. As well as being a blow to Sakhalin, the planned reallocation of funds is indicative of Moscow’s highly centralized approach to the Far East’s development. The development of this super-region has become a priority for the Russian leadership in recent years. Their efforts to promote this have included the establishment of the Ministry for the Development of the Russian Far East, as well as the Agency for the Development of Human Capital in the Far East. Vladivostok was also selected to host the Asia-Pacific Economic Cooperation forum in 2012 and several infrastructure projects were completed in the city in preparation, including two large bridges. A new campus for the recently formed Far Eastern Federal University was also constructed, and this now serves as the venue for the annual Eastern Economic Forum. Other initiatives have seen the creation of special economic zones, as well as a free port with a special customs and taxation system in Vladivostok. 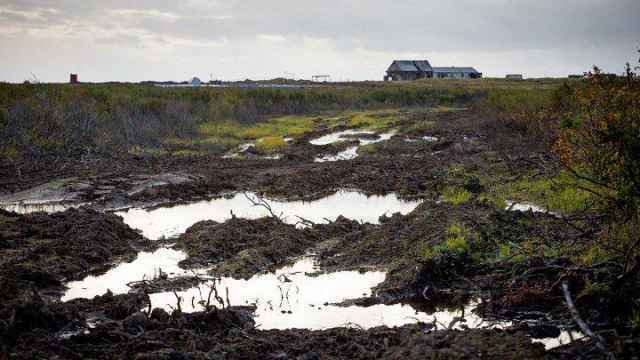 A Russian version of the Homestead Act has also been introduced to give away land in the Far East to citizens committed to putting it to good use. The success of these assorted efforts has varied significantly, but what they have in common is that they are all top-down initiatives rather than projects decided upon and overseen by local authorities. The reallocation of the majority of Sakhalin’s oil and gas revenues is just another example of this tendency toward over-centralization. Federal authorities undoubtedly have greater expertise than their regional counterparts. The problem with such a centralized approach, however, is that the priorities of decision makers in Moscow are not always closely aligned with those of local residents. In particular, inhabitants of the Russian Far East are likely to place greater emphasis on pragmatic initiatives that promote meaningful improvements in living standards, such as better schools, hospitals, housing, and roads. By contrast, the federal authorities usually favor grand projects that magnify national prestige, but may actually contribute little to the lives of residents. A clear example of the national leadership’s preference for grandiose schemes was revealed at the Eastern Economic Forum in September 2017. For the second year running, Japanese Prime Minister Shinzo Abe was a guest of honor. Since returning to power in December 2012, he has made relations with Russia a priority, believing that closer economic ties could provide the foundation for a breakthrough in the countries’ longstanding territorial dispute over the Kuril islands. During his speech in Vladivostok on Sept. 7, Abe concentrated on the prospects for highly practical cooperation, encouraging joint efforts to tackle tuberculosis in Russia and plans to improve Russia’s postal service, traffic management, and sewage systems. While these proposals were designed to address pressing social needs in Russia, they failed to capture the imagination of the Russian leadership. Instead, Energy Minister Alexander Novak focused attention on an ambitious scheme to construct an “energy bridge” to export electricity from Sakhalin to the Japanese island of Hokkaido. First Deputy Prime Minister Igor Shuvalov went one step further, inviting the Japanese to consider the construction of a mixed road and railway route from Hokkaido to the southern part of Sakhalin. Combined with another bridge from Sakhalin to the Russian mainland, the link would connect Japan directly with the Trans-Siberian Railway, transforming the Japanese archipelago into a continental state. There is no question that mega-projects are more exciting than waste management or traffic light sequencing. But when it comes to the living standards of residents of the Russian Far East, dull, locally focused projects will have a greater impact than idealistic schemes that will not come to fruition for over a decade, if ever. In theory, the seizure of a greater share of Sakhalin’s resource wealth by the federal authorities could lead to a fairer distribution of wealth throughout the Russian Far East. The fear, however, is that further centralization of revenues will encourage vanity projects. These may have political rationale for the Moscow-based elite, but they will make little real contribution to Far Eastern development. If this occurs, the protests seen on Sakhalin at the beginning of October could prove to be just the start of wider expressions of public dissatisfaction within the region as more residents take up the call for better living conditions. James Brown is an Associate Professor and Academic Program Coordinator for International Affairs, Temple University, Japan Campus. Andrei Kozinets is a research fellow at Far Eastern Federal University in Vladivostok. An unabridged version of this article first appeared at The Carnegie Moscow Center. The views and opinions expressed in opinion pieces do not necessarily reflect the position of The Moscow Times.